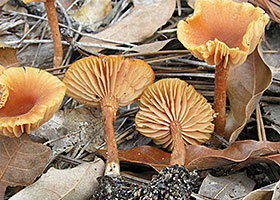 Laccaria is a commonly collected and ecologically important genus of mushrooms found in many parts of the world. 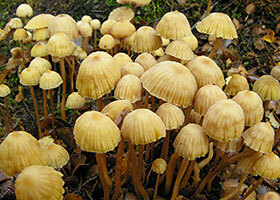 Its species form ectomycorrhizal associations (ECM) with a broad range of conifers and broad leaf trees. 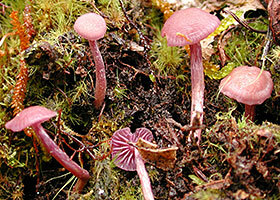 Laccaria species have been used to study the ecology of ECM relationships, persistence of ECM fungi in forestry and nursery studies, ECM fungal populations, and fungal genetics. 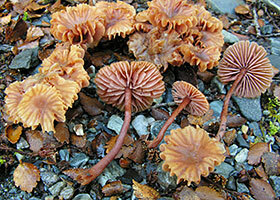 Laccaria bicolor was the first ECM fungal genome sequenced in an effort to better understand ECM evolution and genetics.